Repugnant as the idea may be to taxpayers, socializing losses is often the only way to avoid panic from spreading. India is marking the 10th anniversary of the 2008 global financial crisis with its own mini-Lehman moment. 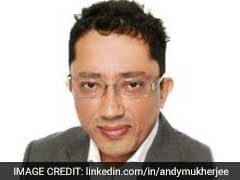 True to script, ratings companies have belatedly realized that the IL&FS Group - Infrastructure Leasing & Financial Services Ltd. and its associates - is woefully short of liquidity, with about $500 million in repayments coming due in the second half of its fiscal year through March and only about $27 million available. The group, which missed a payment in the commercial-paper market last month, is now late in servicing an inter-corporate deposit. Meanwhile, the group's assets include financial claims on everything from roads and tunnels to water treatment plants and power stations. This is the stuff that IL&FS has been financing for 30 years; none of it can be liquidated to make lenders and debt-fund investors whole. But then, infrastructure - when taxpayers don't fund it it - is always about rolling over liquid, short-term debt to create solid long-term assets. Trouble starts when power plants get stranded for lack of fuel or purchase contracts, and roads clear environmental hurdles only to crash into low tolls, poor usage and payment disputes with the highway authority. The economics collapses backward. The knives are out for IL&FS, but who's going to give the pound of flesh? Ravi Parthasarathy, the all-too-powerful founder of the IL&FS empire and Indian equivalent of "Gorilla" Richard Fuld at Lehman, stepped down for health reasons in July. The rest of the board exists only for decorative purposes. Opacity, meanwhile, has a propensity to amplify panic. As IL&FS goes radioactive, the money market doesn't know who's exposed to its toxicity, and to what extent. After mapping exposures from debt-charge documents, analysts at Nomura Research have managed to locate 64 percent of the group's liabilities to banks. The same vulnerabilities that were exposed by the Lehman crisis are on display a decade later in India. 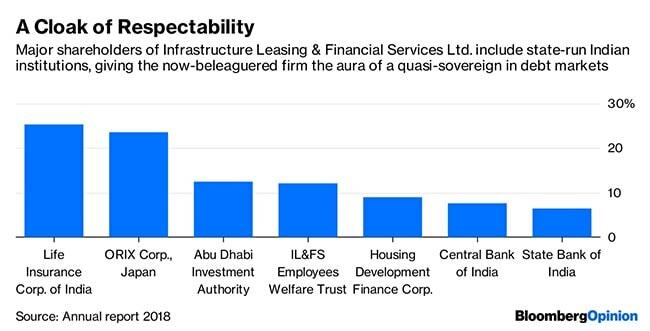 The IL&FS Group is too big to fail; isn't regulated nearly as closely as it would have been as a deposit-taking institution; and has no "living will" - a plan to let it fail safely. Not only do India's state-run banks have bulky exposure to IL&FS, they have also lent to some of the same projects that put it in trouble. Nomura reckons that IL&FS Transport Network's road assets are being carried as standard on the balance sheets of many banks. 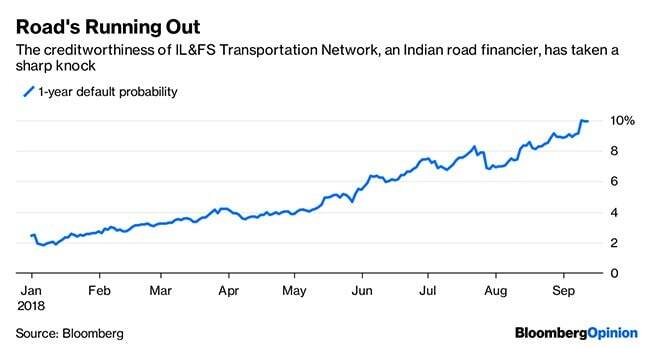 That's laughable, given that IL&FS Transport's own one-year default probability is approaching 10 percent, according to a proprietary Bloomberg model. Asking banks to reclassify these advances as nonperforming and make provisions at a time when they have no profits and $200 billion in stressed assets would be a stab to the heart of India's financial system. Repugnant as the idea may be to taxpayers, socializing losses is often the only way to avoid panic from spreading. U.S. policymakers understood that only after they let Lehman go. In the case of IL&FS, New Delhi will have to mount a rescue before retail customers of money-market mutual funds turn wary. It's time perhaps to give old faithful Life Insurance Corp. of India another shot at national service. (The insurer is busy bailing out a bank, as we speak.) After all, a young population makes India's insurance customers the perfect vessels for dispensing mercy.